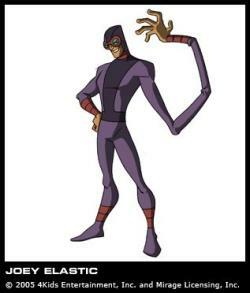 Joey Lastic is a member of the original Justice Force. His abilities are much like those of the Marvel Comics superhero Mister Fantastic. He first appears in the Mirage Comics in the story Dome Doom. He first appears in the 2003 series in the episode Return of the Justice Force.